Can you have your day in court, with a personal claim, if that’s what you want? Donald Trump used the Rolling Stones’ recording of their 1969 song “You Can’t Always Get What You Want” during his 2016 primary and presidential campaigns. Following the Republican National Convention in July 2016, which was widely televised, the Stones went public with their views on the use of the song composed by Keith Richards and Mick Jagger. They stated that they did not endorse Trump. They also requested that Trump should stop using their songs to support his message. Despite these requests, Trump continued his use of the song at rallies, even beyond the 2016 presidential elections. It seems that, even if you are the Rolling Stones, you can’t always get what you want. It is also the case that, if you are an injured person with a personal injury compensation claim, you can’t always get what you want – and we’re going to look at some aspects of that in this article. 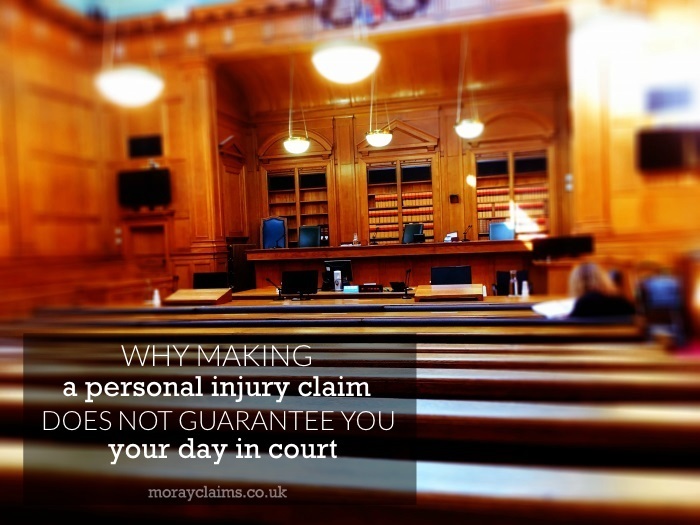 Most people ask if they will have to attend court in connection with their personal injury claim. Mostly, they ask this in the same way you would ask if you have to go to the dentist. Many personal injury claims settle without the need for a court action at all. Of those claims that have to go to court, very few get as far as a hearing where you, the injured person, would have to give evidence. Some people are unfazed by the prospect of giving evidence in court. Some injury victims approach their claim with higher hopes than the average person that they will have to appear in court. The person or organisation that injured you has added insult to injury by mistreating you in some way since the accident (this happens a lot in accidents at work where the negligent employer then does not pay you full wages while you are off due to the accident). If that’s what you want, can you insist on having your day in court “come what may”? The answer is that no, you can’t. Why is that the case? Decisions about whether to discontinue a claim, or settle a claim, or a raise a court action cannot be made without your express consent and permission. the decision is rarely yours alone, anyway. Your legal adviser will be there to give you advice on the prospects of success and valuation of your claim. Any offers from the other side will be assessed against these parameters (prospects and valuation) and advice given to you on whether “reasonable prospects” exist in relation to taking matters further, given the stage your claim has reached. “Reasonable prospects” is usually taken to mean prospects of 51% or better. Your claim is constantly evolving and changing. New sources of evidence may appear about the accident circumstances. Your recovery may go well – or not – and that will affect your ability to work/earn and so affect the value of your claim. The issue of “reasonable prospects” needs to be kept regularly under review. Here’s a hypothetical example which we hope illustrates the point about behaving reasonably. Say you have a personal injury claim which is worth £10,000 and liability is denied. The legal advice to you is that reasonable prospects exist. In that situation, it’s a straightforward decision to go to the stage of raising court action. (Note that valuing claims is not an exact science, however, and the valuation of £10,000 would never be a “guaranteed” amount). If the opponent then – after court action is raised – makes a formal offer to settle at £9,500, while there’s still the possibility that you might beat that offer, the legal advice would probably be to accept the offer because the chances of beating £9,500 would be less than 50% (maybe very substantially less than 50%). You have to behave reasonably. You can’t proceed with the claim in the face of an offer you are unlikely to beat in court. We’ll now look at why it matters that it’s probably not purely your decision to make. You need this “insurance” to cover you against the risk that your claim fails, following the raising of court action, and you are found responsible for the expenses (costs) of the other side. In the scenario above, if you decided you weren’t accepting £9,500 and wanted your day in court, the insurers (which could be the legal aid board) could “pull the plug” on insurance cover, making it very unwise for you to continue. The insurance policy (which could be legal aid) will have a “clause” to the effect that the insurer only requires to provide cover as long as reasonable prospects exist. In the “liability denied but reasonable prospects of winning and getting £10,000” scenario, you’re comparing zero return with £10,000. In the “£9,500 -v- £10,000” scenario, on the other hand, the difference is much smaller, so the prospects of getting £10,000, when £9,500 is on offer, are lower – and may well take you below 51% likelihood. The definition of “winning” at any stage is always of getting more value for your claim than is presently on offer (if anything). It’s possible to “lose” your claim by still getting some compensation but at a lower amount than a previous offer from the opponent. So, in the above example, say, where you refuse the £9,500, go on with the claim to a court hearing and the sum awarded by the court is £9,000, the opponent will argue that the costs of the court action incurred since their offer of £9,500 was made should be awarded against you. This request will usually be granted and will, in effect, reduce the compensation received by you. 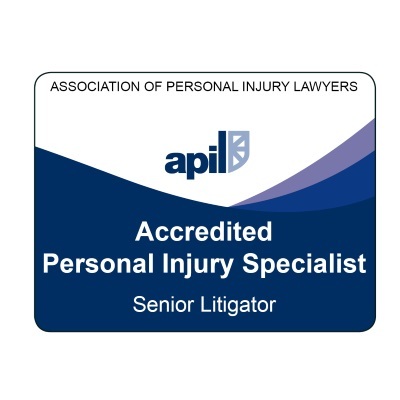 Keeping going with a personal injury claim at any stage depends on there still being reasonable prospects of success. Whether there’s an offer on the table and how much it is will affect the prospects of success going forward. Once your chances of improving on the latest position dip below 50%, it becomes unreasonable to continue. You’ll either have to give up (if there’s no offer) or take the current offer. Your solicitor has to protect the interests of anyone insuring your claim as well as your interests. Where reasonable prospects cease to exist, your insurance backing will probably terminate and you’ll be under considerable economic pressure to accept where you’ve reached. If that’s not dropping the claim without compensation, it will be accepting the best offer on the table. You’re trumped by the interests of those insuring your case because you cannot expose them to an unreasonable risk of losing the case. These factors explain why making a personal injury claim does not mean you will get your day in court if you want it. Most people don’t because, eventually, the opponent comes up with a reasonable settlement offer which you will be advised to accept. In this article, we have looked at why a personal injury claim does not guarantee you your day in court. There are many ways you can be “forced” to compromise before your claim reaches that stage. 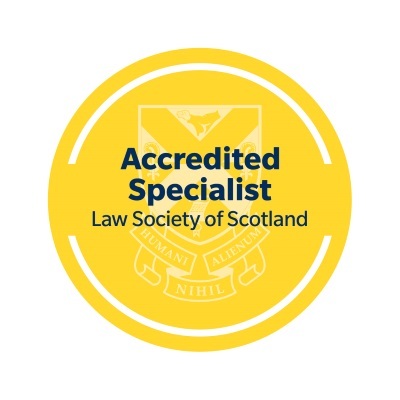 If you have any questions arising from this article or regarding the wider personal injury claims service provided by Moray Claims/Grigor & Young LLP, please get in touch with us. We are glad to deal with any queries. Questions based on articles on this website and on the Grigor & Young website, for example, allow us to review the content, update it and improve it. 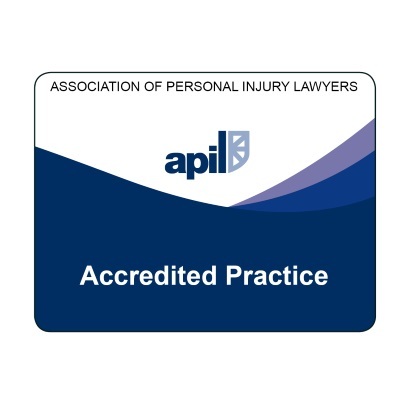 You can call us (Peter or Marie – both accredited, specialist personal injury solicitors) on 01343 544077 or you can send us a Free Online Enquiry.